As Achieve Escambia gears up for the release of its annual progress report to the community, the organization has named a new leader for its volunteer board. David Deliman, Gulf Coast market vice president for Cox Communications, has assumed the role of chair of the Achieve Escambia Leadership Council. Deliman takes over for Debbie Calder, executive vice president at Navy Federal Credit Union. Calder has served as chair of Achieve Escambia for the movement’s first two years and will remain active on the Leadership Council. Lonnie Wesley, pastor of Greater Little Rock Baptist Church, is stepping in to serve as vice-chair as Stan Connally, president and CEO of Gulf Power, rotates out of the position he has served in the past two years. 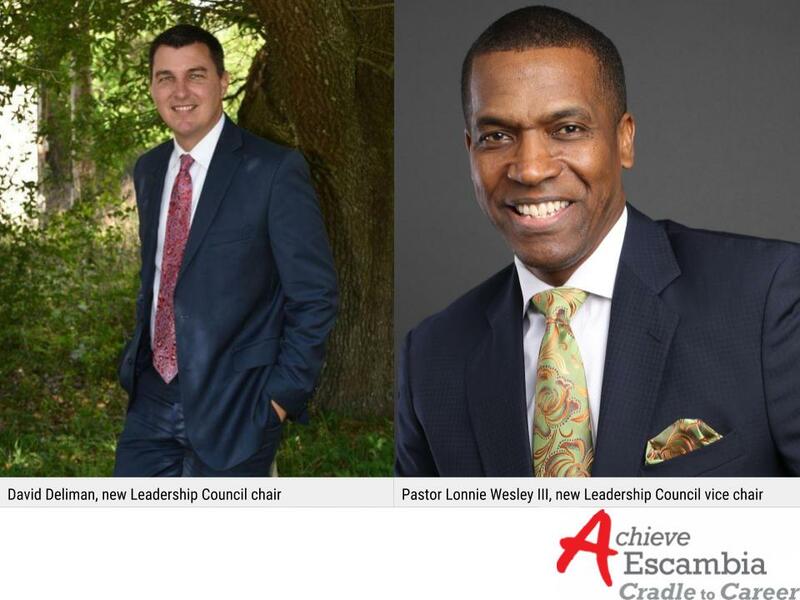 The leadership changes are taking place at the start of Achieve Escambia’s new fiscal year. About Achieve Escambia: Achieve Escambia was founded in 2016 when members of the Pensacola business community identified a need to better support and supplement the career readiness efforts taking place across Pensacola. Our mission is to improve education & workforce outcomes for our community; every child, every step of the way, cradle to career. For more information visit achieveescambia.org or like us on Facebook.